It is cheap : to feed a child in India costs between one and two Rupees a day ( US$ 6 to 12 per year ). Many other feeding solutions are more costly and less sustainable. It is effective : one gram per day is enough to correct severe malnutrition in a child in a few weeks. New studies suggest that Spirulina not only improves the physical development of the child but also cognitive performance. Spirulina helps people affected by HIV/AIDS to feel better in their daily life and gain weight. It is a relatively simple process and requires a low investment of only US$ 500 per tank (18 m2) producing 150grams per day and the technology is fully mastered. 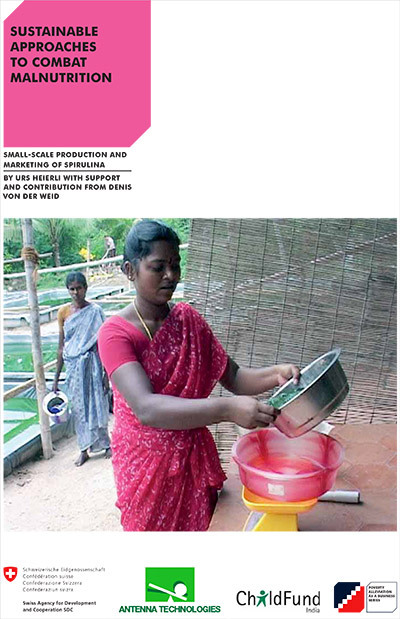 It provides income: Spirulina cultivation is ideal work for rural women, as a labour-intensive and caring job. It is a local business : Spirulina production can be organised as a decentralised rural industry and can involve local people. 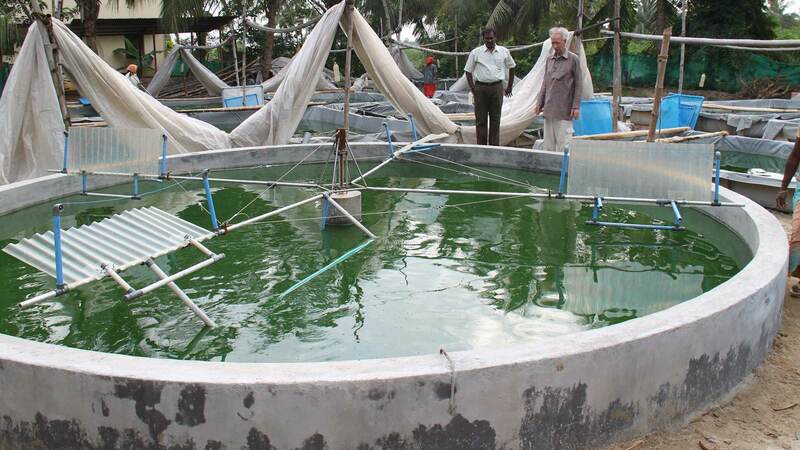 They can produce, process and sell Spirulina as a business and generate rural income. It is thus a sustainable long-term solution.